This is an exciting time in the American truck market. Between the newly revamped 2017 Ford Raptor and the all new Chevrolet Colorado diesel, things are really beginning to stir. Honda has also returned to the fray with a completely revised Ridgeline -and it’s surprisingly good. True, it isn’t heavy duty, and no, the towing capacity isn’t exceptional either, yet somehow that’s okay. This little truck is not intended to haul pallets of bricks; instead, consider it a light duty SUV that happens to be shaped like a truck. If you are looking for a traditional body on frame truck with at least one solid axle, then the Ridgeline probably isn’t for you. However, if you own a Subaru and find yourself longing for a pickup bed, then you are in luck. 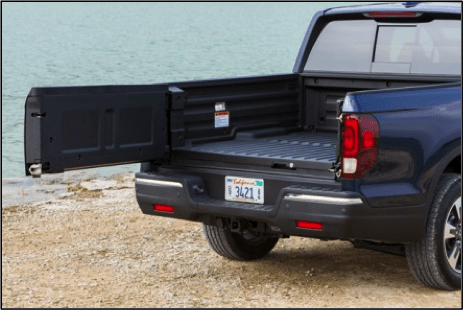 The Ridgeline’s truck bed is 63.6” long, roughly 3.9” longer than the previous generation, and wide enough for a 4’ wide sheet of plywood or sheetrock. 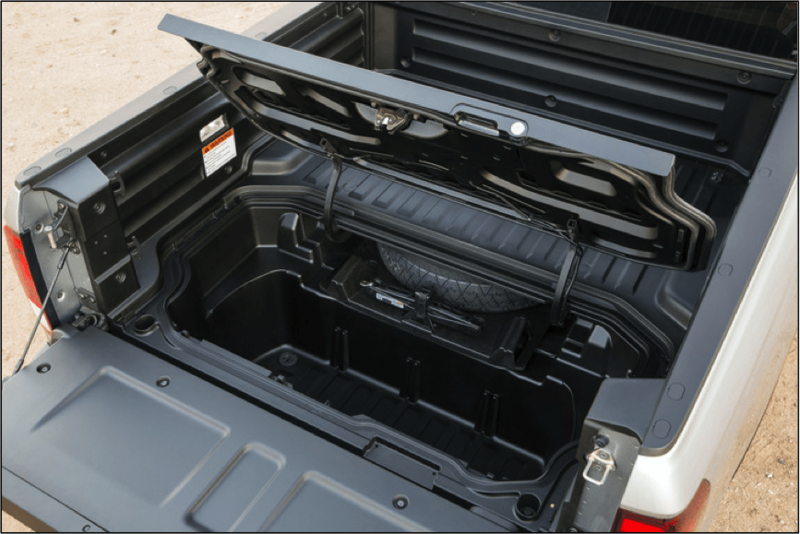 There is also a 73 cubic foot, weather sealed, lockable trunk in the rear of the bed, perfect for locking up extra gear before heading out on a hike or hitting the waves. The tailgate has a rather unique feature which provides easy access to the aforementioned trunk. 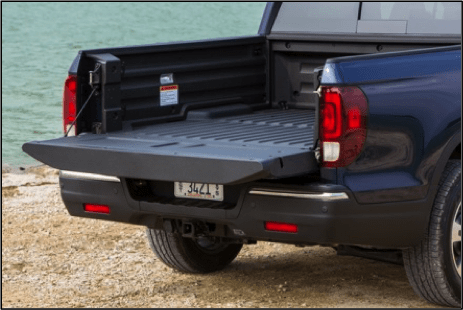 Not only does it pivot down like a traditional tailgate, it also pivots towards the left creating more room to access the trunk. In all actuality, the working components of the this feature are very much reminiscent of a typical boot found on most sedans including curved mounts and a torsion rod to prop it in place. The spare tire is also neatly tucked out of the way and can be accessed by opening the lid. 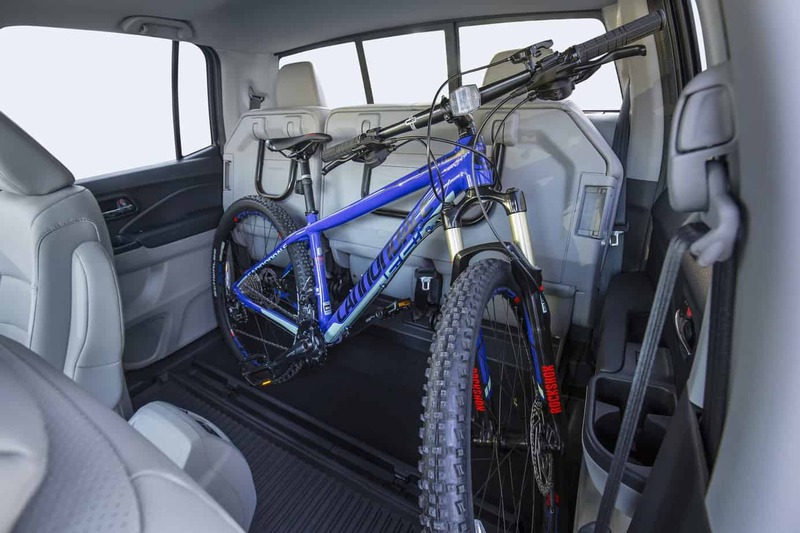 For the two wheeled adventurer, you may be pleased to learn that the new Ridgeline has a multitude of options geared towards the transport of bicycles and motorcycles. For the bicycle, a roof and trailer hitch mount are available, and for motorcycles, Honda offers an optional bed extender specifically for motorcycle transport (works with Honda CRF 250 and CRF 450 sized bikes). The rear seat also folds up and out of the way, providing enough room for internally storing a bicycle or the proverbial ARB fridge freezer. 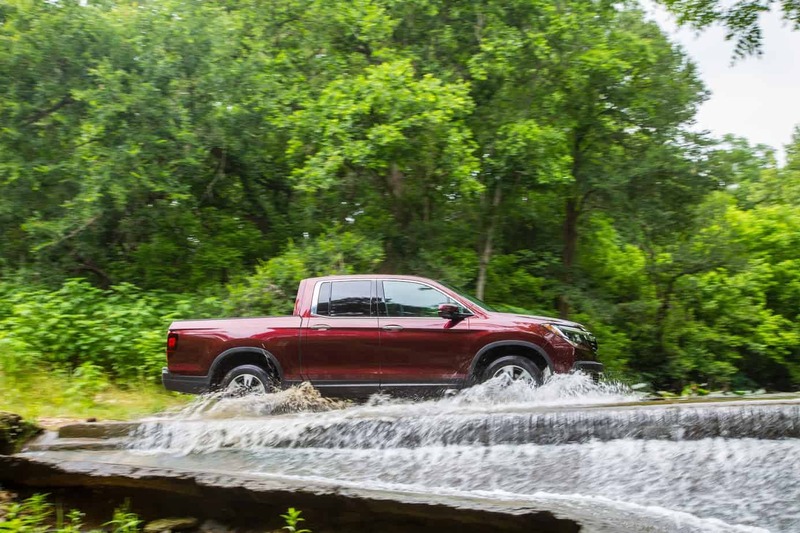 This flexibility is where the Ridgeline shines, not so much as a truck, but a true utility vehicle for the urbanite who drives their rig to work everyday and hits the trails on the weekends. The Ridgeline is essentially a Honda Pilot with a functional bed. 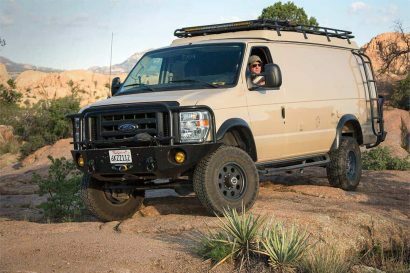 It’s comfortable, safe, and provides far more “utility” than most Sport Utility Vehicles. 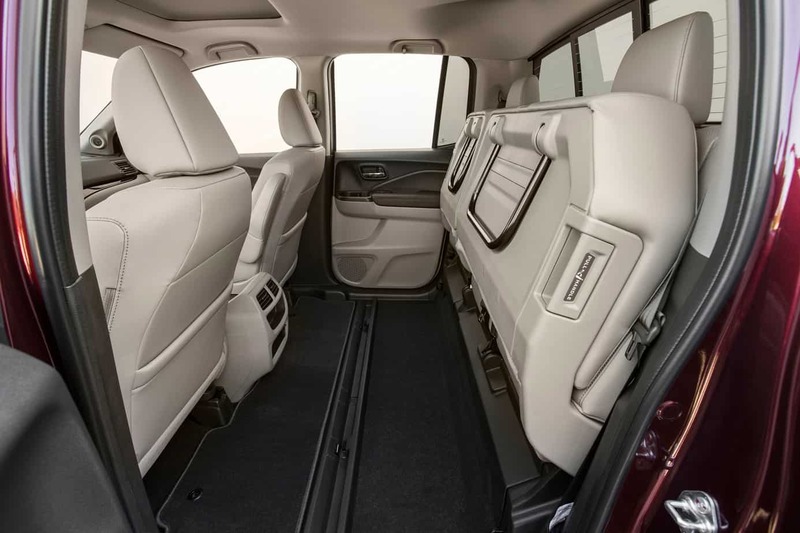 The interior is as well appointed as any reasonably priced modern vehicle. Standard features include luxuries such as push to start, and a large audio control screen that provides convenience with a measure of civility. There are also a plethora of optional upgrades including heated seats and steering wheel, an adaptive cruise control and lane keeping assist. 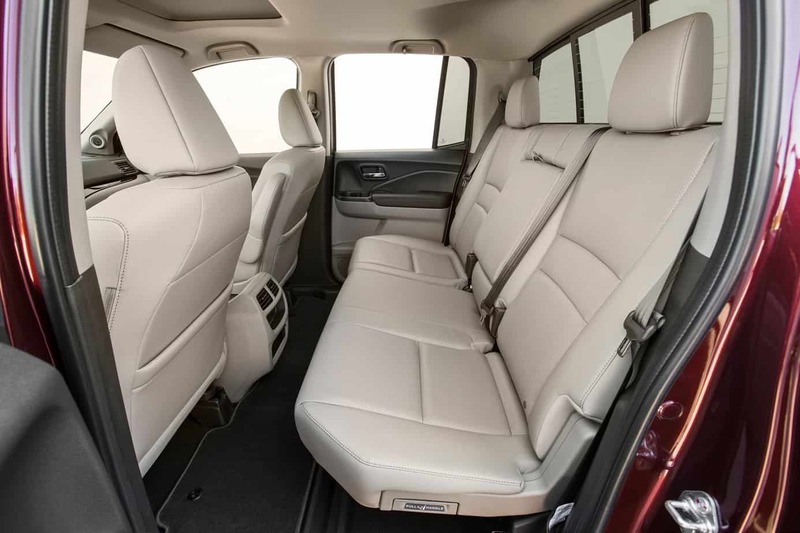 Overall, the cabin offers the comfort and quietness of a sedan with equal steering response and on road performance -all while hauling a load of mulch. The drivetrain consists of Honda’s venerable 3.5 liter V6 churning out a respectable 280 hp and 262 lb/ft of torque, supplying motivation to a six speed automatic transmission. This provides enough grunt to safely tow up to 5,000 lbs (AWD model). With four wheel independent suspension, and a host of modern electronic aids, this little truck can comfortably tackle most terrains. Like many of the vehicles we have highlighted as of late, the Ridgeline is equipped with a selectable terrain system with settings for snow, mud, and sand. An available all wheel drive system not only improves performance, but also increases the load and towing capacities -an $1800 upcharge. In addition to the typical ABS and SRS systems, Honda also employs a Blind-spot information system, and LaneWatch. LaneWatch is a camera system that displays the contents of the right lane in the audio display screen. Though not intended to negate common sense, it should greatly improve visibility and safety. 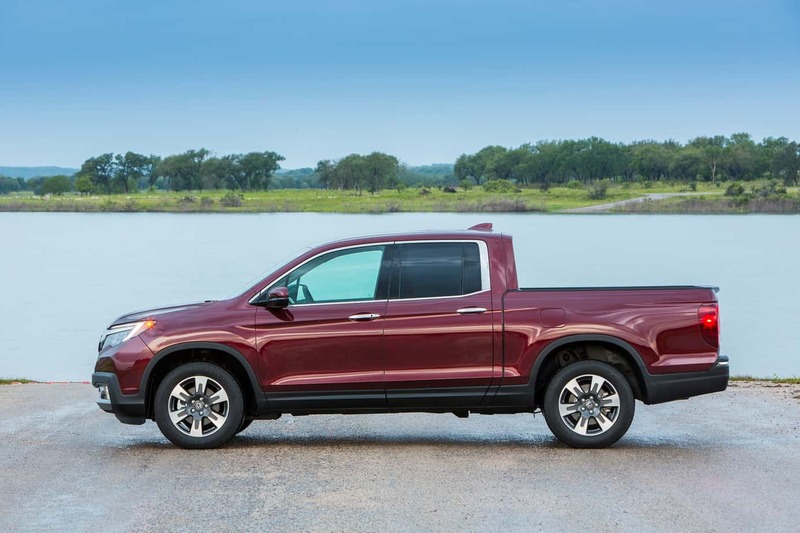 Pricing for the 2017 Honda Ridgeline is well within reach of other light trucks and SUV’s. There are eight different trim levels priced from the base MSRP $29,475; to the pricey Black Edition $42,870. 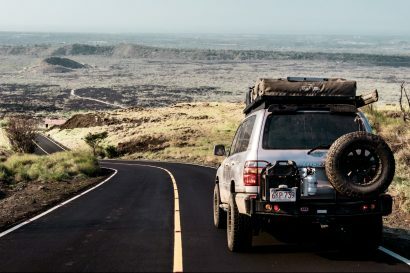 Overall, the little Honda does a wonderful job as a quiet, comfortable daily driver that can also haul a reasonable amount of gear to the trail. 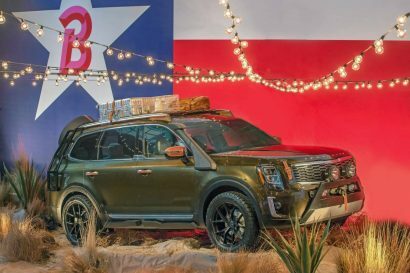 A New Overland Vehicle From Kia?